“We’re going on a bear hunt. We’re going to catch a big one. What a beautiful day! We’re not scared.” A delightful, immersive retelling of the beloved children’s story with a few added twists and turns as the British Sinfonietta and narrator children’s TV presenter Andy Day take us on a musical journey through long wavy grass, thick oozy mud and a swirling whirling snowstorm in search of big furry bear. 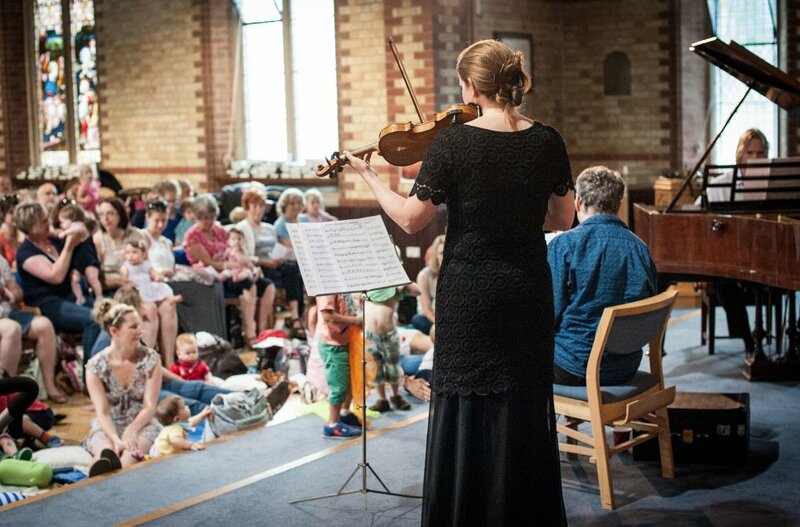 Little people will get the chance to learn all about the instruments in the orchestra (and meet their players) and – best bit! – some will even be invited up on the stage to play percussion in the show. The perfect introduction to the thrill of a live orchestra! recommended for over 3s, seated show, duration 1 hour approx. 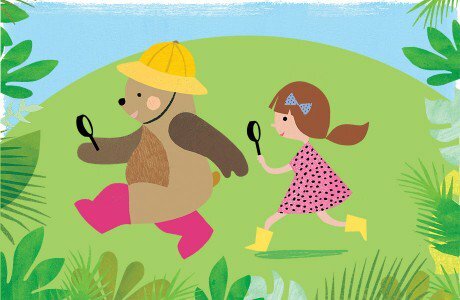 Co-founder of Hoo-Ha partners Pukka Herbs, Tim Westwell, has hand-picked two flavours of Pukka tea for all audience members, young and old, to enjoy whilst watching Bear Hunt. Be sure to pick up a cup on your way in. Lev Parikian is much in demand as Guest Conductor with orchestras throughout Britain. He is Principal Conductor of several London-based orchestras, and the City of Oxford Orchestra. He is also Artistic Director of the Rehearsal Orchestra. He has worked extensively with students and youth orchestras, including the Royal Holloway University of London, where he also taught conducting for many years. In 2014 he conducted the BBC Concert Orchestra in a rerecording of the theme tune for Hancock’s Half Hour for The Missing Hancocks on BBC Radio 4. Lev is also an active writer, and his first book, Waving, Not Drowning, was released in 2013. It was described as “hilarious and wise” by fellow conductor and author Kenneth Woods, “a must-read” by Classical Music magazine, and “mercifully short” by Lev himself. A second book, Why Do Birds Suddenly Disappear? is in the pipeline. @Colston_Hall @BSinfonietta @thebristolmag @AndyDayTV what's the under 16s include bf mean?? And what age is it aimed at?